Partly cloudy skies. Slight chance of a rain shower. Low 39F. Winds NNW at 10 to 20 mph.. Partly cloudy skies. Slight chance of a rain shower. Low 39F. Winds NNW at 10 to 20 mph. 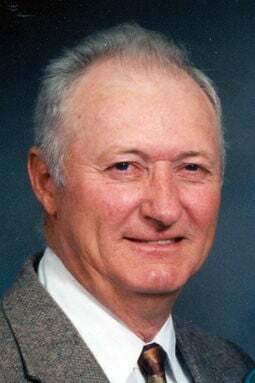 Delbert C. Moeller, age 93, of Scribner died Friday, April 5, 2019, at the Hooper Care Center. Delbert was born March 5, 1926, in Scribner to Alfred and Anna (Mueller) Moeller. He was raised in Scribner and graduated from Scribner High School in 1943. After his schooling Delbert served in the U.S. Army from 1944 to 1946. Delbert received a purple heart from wounds received during his time near Okinawa. After his military service Delbert returned to Scribner and worked for the Scribner Bank, U.S. Postal Service as a rural mail carrier and the Scribner Co-op. Delbert married LaVonne Meyer on Jan. 26, 1947. The couple lived in Scribner until moving to a farm between Hooper and Scribner in 1955. Most of his time was spent farming until he retired. Delbert played baseball for the Scribner Town Team and also coached the town team and the American Legion Baseball team. He was also one of the people called on to cook when it was needed for an event. Survivors: children, Conley, Joel, Ruth Dahl and Cynthia; grandchildren, Brad (Carrie) Dahl, Shelly (Justin) Whitted and Tessa (Brian) Pribnow; eight great-grandchildren; and many nieces and nephews. Delbert was preceded in death by his wife, LaVonne; parents; brothers, Mike, Roland and Burnell; sisters, Marcella Tienken and Lucille Ortmeier. The funeral will be 10:30 a.m. Tuesday, April 9, at St. Paul’s Lutheran Church north of Hooper. The Rev. Judy Johnson will officiate. Burial will follow in St. Paul’s Lutheran Cemetery with Military Honors by Scribner American Legion Post 121. Memorials are suggested to the church, Scribner Rescue and the Scribner Volunteer Fire Department. Visitation will be Monday from 3 p.m. to 8 p.m. with the family present from 6 p.m. to 8 p.m. at Ludvigsen’s Scribner Funeral Chapel.